Writing a blog post is a tremendous challange. Then rank keywords on Google’s 1st page is another dreadful task. If you are facing same issues like this. You have landed at the right place. Today, I am going to show you some really extraordinary strategies to write a successful post to rank keywords on Google’s first page. I will try not to repeat those boring on-page and off-page seo tips and tricks. What I will tell you that easiest way to write a masterpiece which can easily rank on Google search results. 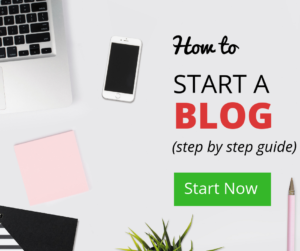 It doesn’t matter how many days before you started you blog. It just the matter of writing content better then others who are already ranking there. However, I won’t suggest you to totally ignore On page and off page SEO. But this is a long process my friend and you can’t make 1000 or 2000 authentic backlinks in a few days. Also Read : Top 10 websites to get free images for blogs. 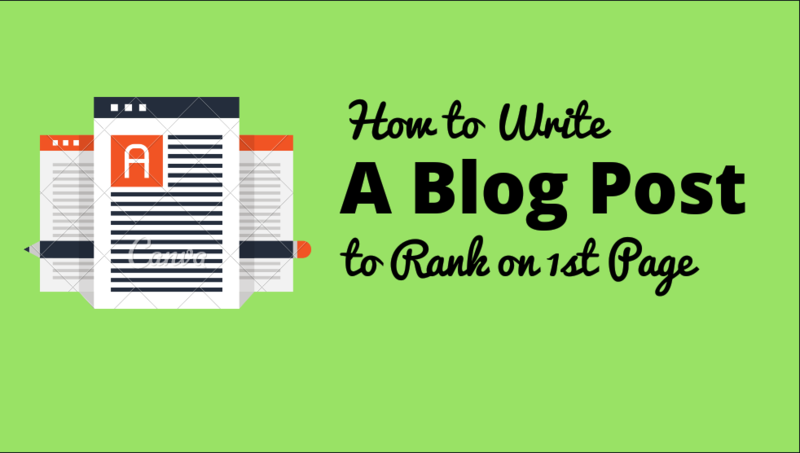 So I would share the best ways to rank your blog post without doing all these stuff. In fact, you don’t even require to use yoast SEO plugin. Here is the list of top actionable strategies to write an blockbustor blog post and rank on Google’s first page. Here is the first tip to know about the topic of your content. If you are not sure about it, you can never gain a useful audience. You need to understand that if your niche is health or sports related. It doesn’t mean that you can’t write blog posts little bit off topic. This is the key to success here. I know when we choose our niche for our blog. We find our most interesting topic. 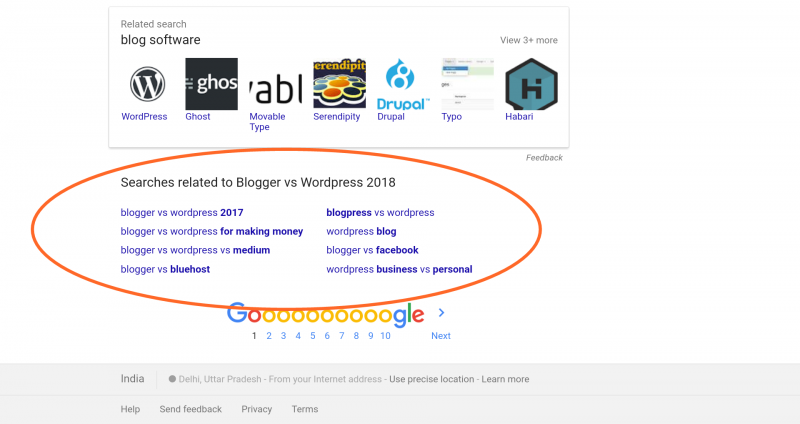 It is really not easy to understand, in the beginning that many giant bloggers are already running their blogs in that niche since many years. Moreover, these giant blogs already covered most of the topic related to our niche. So how can we rank our posts against their old website where they have thousands of articles and thousands of backlinks. Therefore, we need to do a little compromise in our starting days of blogging to gain some orgainc traffic. What I mean to tell you that you need to write a blog post which is closely related to the main topic of the niche of your blog. I don’t think its confusing. Ok let me give you an example. If your niche is health or some particular health related topic. Then you need to find some keywords which are less related to the niche. For instance, you don’t need to write always about health. You can also write about some specific beauty product. Or you can write about some specific deseases and its cure. I know it may be a little bit off-topic but it’s necessary to rank on low competition keywords. I will also tell you how to find correct keyword for you topic. Keyword research is the most important part to rank your article. Suppose you are a new blogger and writing some random thoughts and nobody searching them on Google. If you are blogging for many years and have thousands or millions of followers and subscribers. Then you can write anything by your mind and they will read it. Therefore, if you need to get traffic by Google. You need to first know which keywords people are searching. There are many powerful premium keyword tools available in the market. You need to pay around $100 a month to use them. In addition, if you are a newbie and don’t want to spend money on these tools. Then use free services. You can use Google keyword tool. But In my opinion, Google search bar is best tool to find your keywords. Start thinking about new keywords in your mind related to your niche. Dont select single word or two word keyword for your blog post. Make sure that you choose a keyword with atleast 3 or 4 words. Long-tail keywords are the key to success for newbie bloggers. Go to google.com and think about some keywords which people may search then write that keyword in the search bar and hit the search button. Scroll down to the last result and there you will see a heading called related search. Below that heading you can see some other related keywords are been continously searched by people. Now pick any of them keyword which is most connected to your topic or you can easily write about that. 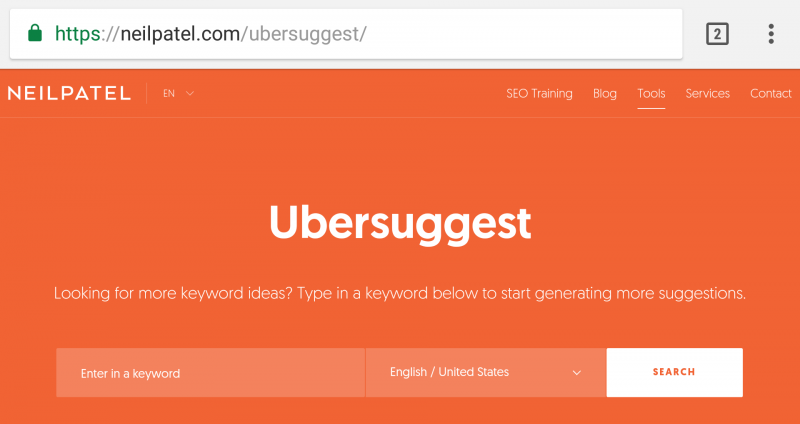 Visit ubersuggest keyword tool and put your keyword here and find its search volume. Remember that choose long-tail keyword, not single or two-word keyword. Here you will get search volume of that particular keyword. Which means that how many times people are searching that particular keyword in a month. Here is a tip, don’t try to pick keywords which has 50 thousands or more than 1 lac searches a month. Becuase giant websites are already ranking for those keywords. If you are a beginner and have plenty of blogs. You should choose only those keywords which have 1500-5000 monthly searche volume. Pick that keyword and find an innovative title for you blog post. Think something catchy and attractive title so that people would like to click on that. Are you thinking what the hell need to analyze your competitor to rank your blog post. I will prove you very soon that why It is most crucial. Now how could you analyze your competitors? Put your selected keyword in the Google search bar and hit search button. Now observe all the search results on first page. If you have got more than 4 results from very famous websites. It means these websites are biggest successful blogs in your niche. Then you need to immediately think about new keyword. Its too difficult to rank for that keyword which is already ranked by biggest blogs in that niche. However, if you are seeing mostly websites here first time. You have never heard about these sites in your life. Then you are at a good place. You need to definitely write for this keyword. But wait, it needs some more research. Don’t immediately go and write. Watch those unfamiliar websites showing in results. Visit their article and get an idea how many words in their article. Try to write more words than their blog posts. If you want you can do one more thing to know that you can rank for that keyword or not. Count their total articles by visiting their sitemap, if possible. If they have less than 50 articles. You can easily rank for that keyword too. In short, if you search a keyword on Google, it will show best results on first page. If these sites on first page have less than 50 posts on an average. That means its easy to rank for that keyword. Also Read : How to double your WordPress website speed. Writing as post totally depends on you. You can think as much as you want and draw everything using words. You need to make sure that write average 2000-3000 words in your article to rank it. It’s not compulsory rule but it’s best for beginners who has less than 50 posts. 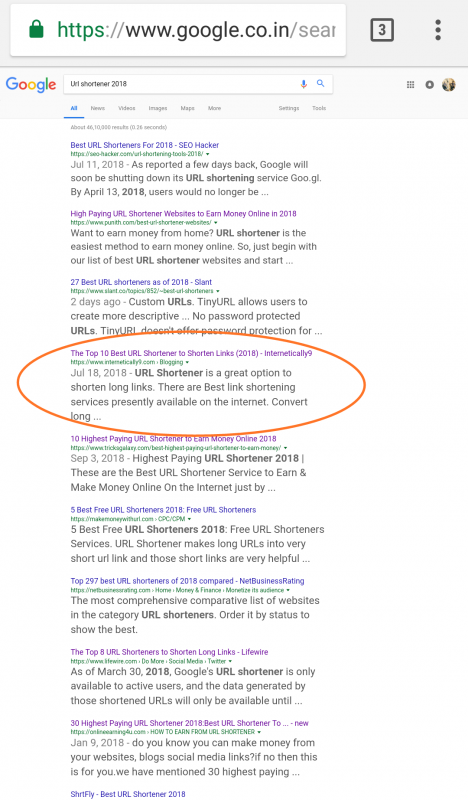 Remember always that Google won’t directly rank your website if you write small different posts on different topics. You will have to write a long descriptive post on a single particular topic. Only then you can rank your page. Word count is unlimited to write. You should write maximum of your capacity. I have recently seen a post was on first page and he has only 5 articles on his site. You know how it would become possible. Guess how many words he has written? 1000, 2000, 3000, 5000, or 10,000, no guys. He has actually written 16,000 words article in a single post. Are you okay? Yeah you should because its true. And he is ranking on first page for some partucular keyword. So you have learnt almost all the strategies to rank on first page. Writing is everything. It depends on how significant and stick to point you create your article. But dont worry guys, if you are aiming for 2-3 thousnad volume keyword to rank. And you competitors on first page are also new bloggers. You can easily rank there by writing 2-2.5 thousand words article. The first and foremost rule is easy and simple. You should never write your keyword twice in post title. Its the heading of your post. You just only put your keyword once in your title line. Try to put it in first but if its not possible according to tagline. Don’t do it forcefully. Remember always that you need to write your keywords in the starting of the post title, then in the first paragraph 2 or 3 times, then sometimes in middle paragraphs or in their H1 headings. Then you need to put your keyword 2-3 times in last paragraph too. Although, you should understand that you can never put keyword on unappropriate places. There is no rule to put your keyword everywhere. 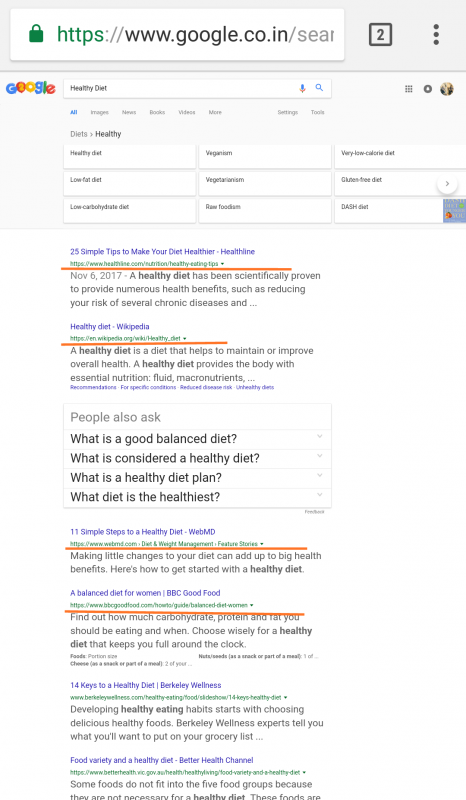 If you write your keyword again and again, Google can easily understand that you tried keyword stuffing to rank your page. Remember always that Google brain works like human. It can read your pages and understand. Then it sends your posts directly to searchers. So do not over use keywords which is called keyword stuffing. But you can use synomyms instead of this. Synomyms are the best way to increase keyword in title and meta description. Here guys you are going to believe that I am really insane. I know because everyone suggest in the world that use precise meta description for your post. But I have seen many big websites and bloggers, their articles don’t show any meta description in search results. I am not saying that meta description is bad for SEO. But as my experience, I rank my blog post on first page without meta description. Let me tell you what benefits I see in this method. If you write a meta description of your post using any SEO plugin or manually. You will see that specific text as a description in search results of your post. It means Google can’t show anything else in your post description. But what if you haven’t written any meta description in your post. Definitely Google will find best descriptive text from your post and will show in description. This is my personal experience and you can use this method or not. It all depends on you. But using this meta description method, my post has got rank on first page of Google. 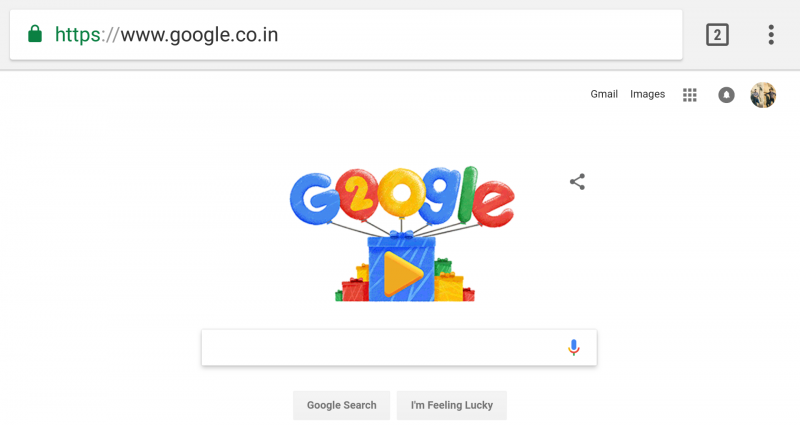 In my view, when Google doesn’t have any meta to show of your page. It will scan your complete post and select best meta description and will show to results. I don’t know I am able to describe it correctly or not. But you can think that when Google has a some specific words in meta. Then he cant find actual precise and useful information from your post. When Google is free to find most appropriate content from your post. It will scan and take meta description from your post which is most suiatble and related to the particular keyword. Images are the soul of a blog post. If you are publishing posts with only a single image. You can never rank your article. If you have thousands of posts and backlinks then these things doesn’t matter. But as I am writing this complete posts for beginners who has less than 50 posts. Try it on yourself and ask. Would you like a post with lots of descriptive images or just only boring text. It is too bad that people are so lazy and sometimes they cant read all the long text. But if you explain them using images and screenshots. They will appreciate and share your content. It is extremely significant to add as much relavant images as you can in your post. Click many screenshots if you are writing some tutorial. Do not overload unrelated images. Add atleast 10 images with every post. Infographics are another way to impress your readers. People get amaze when they learn or understand things by Infographics. It is beacuse they are colourful, clean, professional and attractive. You can search online for free infographics. Last but not least, Try to write unique and informative content which is not already available on Google first page. Add some personal experience and data analytics into your post. A beautifully written blog post is not truly easy to rank on Google search results. However, there are some extremely useful strategies you can use to rank keywords on Google first page. I won’t say it’s difficult but it’s competitive. You need to develop a more useful and understandable piece of content to be loved by people. I hope you guys got some new ideas to rank your blog post on Google. If you feel this post helpful. Kindly subscribe to our newsletter and share with your friends. I saw this link in a fb comment today morning. Just landed on this page and read the full article. Nothing new to me w.r.t knowledge, but this piece of information in a narration is fantastic. Especially, your writing skill is so simple, interactive and awesome. Also site is clean and readable. I am sending fb friend request. Please do accept it. Thanks and I am your subscriber now. Keep sharing this sort of knowledgeable articles. Thanks for appreciation. Its all about my personal experience. If you will follow this, definitely you will see the results. Hi Farukh!! Thanks a lot for sharing your thoughts on the blog writing topic. These tips are very useful for all the readers and also for content writers. Keep Posting.